The Straits Times' film correspondent John Lui talks to actor Diego Luna about his latest role as drug lord Felix Gallardo in the Netflix series Narcos: Mexico. SINGAPORE - Actor Diego Luna plays Felix Gallardo, a brutal drug kingpin in the Netflix series Narcos: Mexico. Gallardo might be a stone cold killer, says the Mexican actor, but he is also a victim, as much as anyone else in the show, including the cop Enrique "Kiki" Camarena, played by Michael Pena. "What I like about this season is that the main character is not Felix, or Kiki. It is cocaine," says Luna, 38. The series, released by Netflix last week, is based on real events and persons involved in the Mexican drug trade, starting from the 1980s, and follows from the previous three seasons of the series Narcos(2015 to 2017), which draws on the history of the Colombian cartel. "It is about a system that works perfectly, a corrupt system that involves every level of power," says Luna, who is known for his roles in Rogue One: A Star Wars Story (2016) and the science fiction thriller Elysium (2013). That refrain - that the violence and cruelty of the narcotics trade is the unintended result of the American war on drugs - is picked up by the show's executive producer Eric Newman and actor Pena. The trio spoke to The Straits Times earlier in November at Netflix's See What's Next: Asia media event at the Marina Bay Sands. Newman says that policy which divides the world into "right and wrong, good and bad" muddies the waters when it comes to solving the drugs problem. There are some who think that addicts should be thrown in jail, or who believe that growers and traffickers - the "narcos" - must be violently dealt with. Such popular vote-getting measures only scratch the surface, says Newman. "For every narco, there is a corrupt politician or cop, or an indifferent senator from the United States who does not think the drug war is worthy of consideration," he adds. 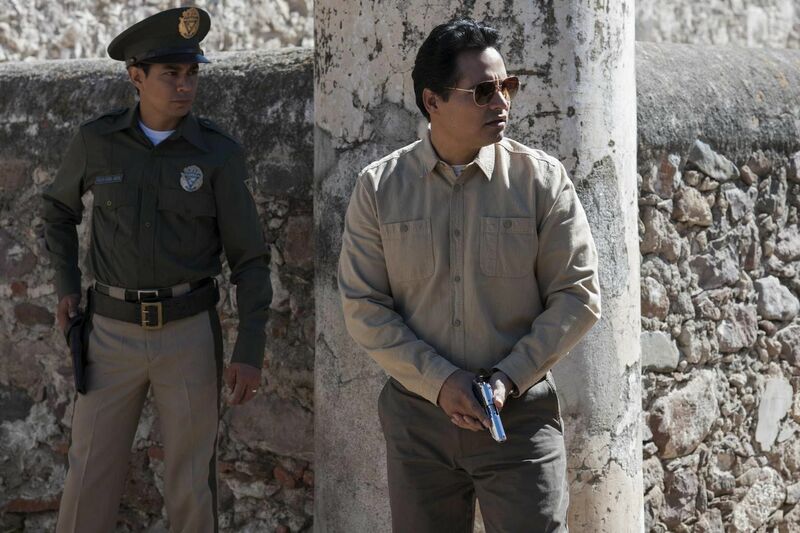 It is why, in Narcos, he does not seek to make anti-heroes of drug lords like Luna's Gallardo, or heroes out of cops like Pena's Camarena. "Instead, we have a bunch of human beings, susceptible to greed, ignorance and indifference," he says. Pena adds that "complacent politicians are worse than the narcos". The 42-year-old American actor has been seen recently in Ant-Man And The Wasp (2018) and The Martian (2015). "At least the narcos don't think of themselves as saints. But the politicians are the ones who make promises and win trust, then they completely misuse that trust for their own gain," says Pena. The real Gallardo gave interviews, and there is a wealth of material that Luna could draw on to portray the infamous drug boss. Pena's "Kiki" Camarena, however, is a much less well-known figure. "All the stuff written about Kiki came from speaking to people who knew him, like his wife. The one thing that was interesting about him was that he had a simple goal: He was a moral man who wanted justice," says Pena. Ultimately, however, the work of men like Camarena in bringing down traffickers like Gallardo is futile, says Pena. People in government, on both sides of the border, will keep on pinning the blame on the traffickers because it diverts attention away from themselves, he says. "They keep on getting paybacks, a lot of money. And at the same time they can play the good guy. They feel good about it because they are not going to jail, because they let the others do the dirty work." Narcos:Mexico is available on Netflix.